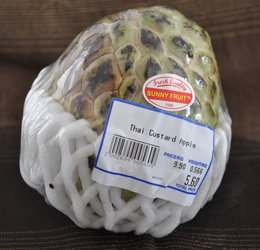 As you walk around the supermarkets here in Singapore you see some unusual things, things you might not ordinairily come across in the USA or Europe. It is one of the fun parts about being in Asia. 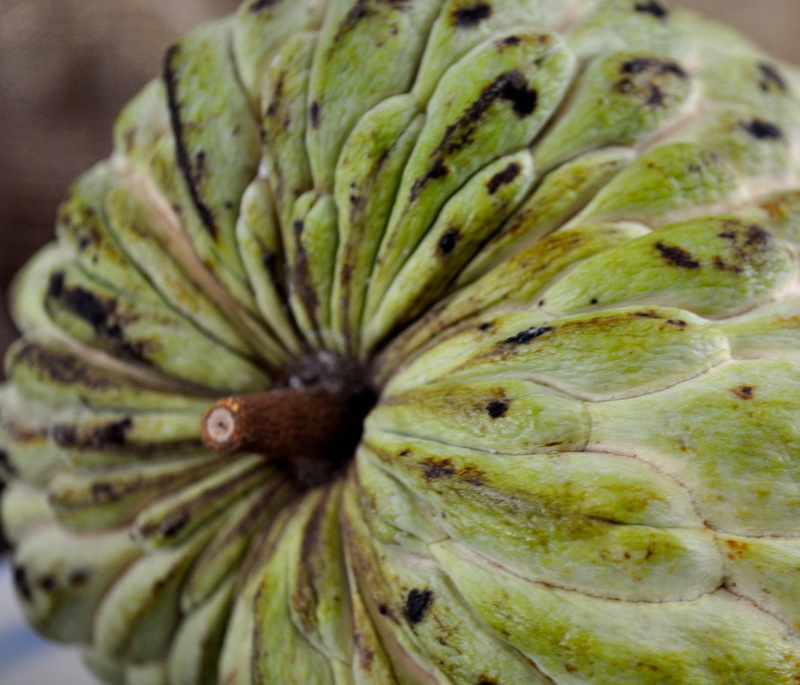 Recently I came across a Thai Custard Apple, having never even heard of such a thing I decided to buy one to try. 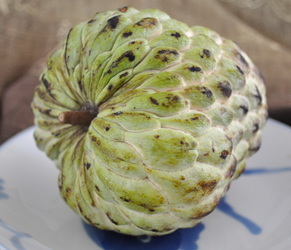 It is quite big, about the size of a grapefruit. 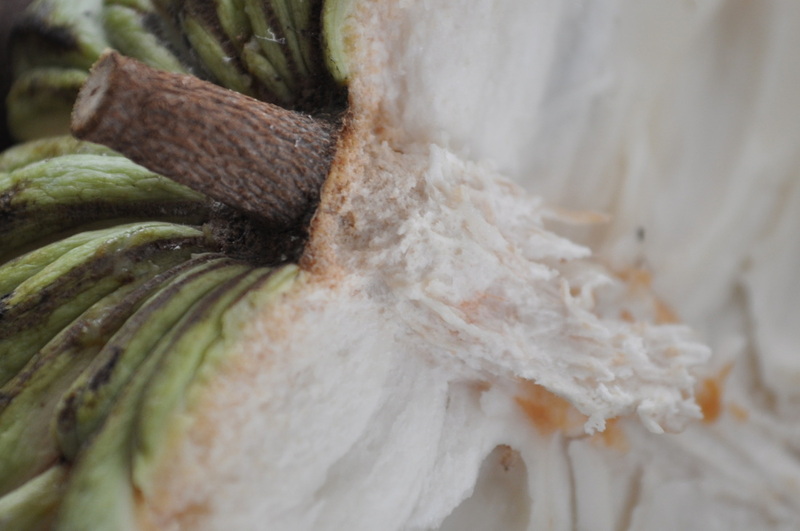 I wasn't really sure what to do with it so I just cut it down the middle. 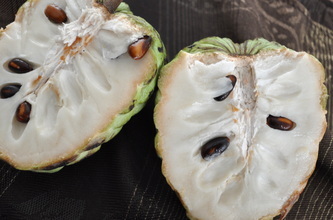 The flesh inside is quite creamy and easy to scoop out, there are a few seeds but they were pretty big so easy to avoid. I can see why they call it a custard apple, though not exactly of the "Birds" variety (you might need to be a Brit to get that connection! ), but it did taste a lot like custard. Sweet custard! Where's the apple pie?! I just recently learnt from a friend in the USA, that this fruit is available there. 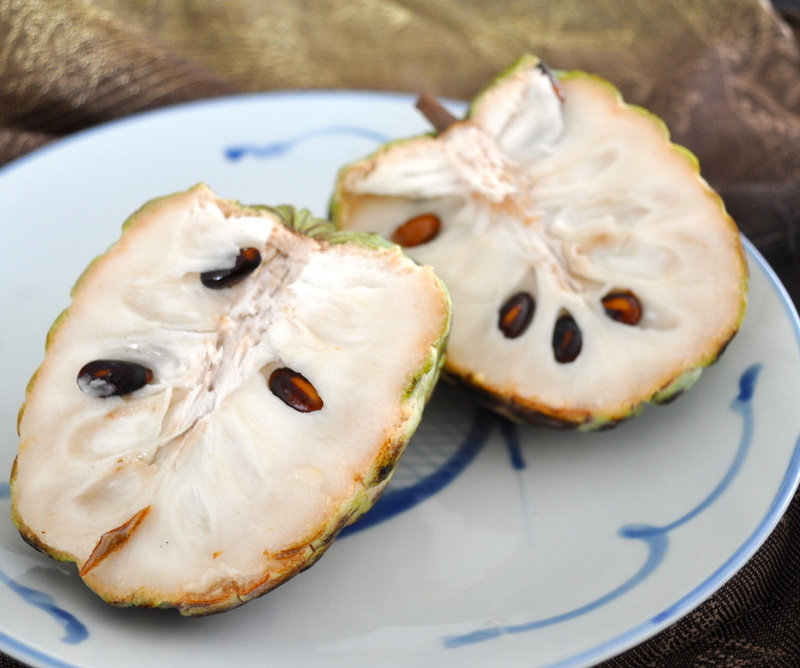 It comes from South America and is known as Cherimoya. This is what she says about it. See below...we ripen and then refrigerate before eating - tastes like ice cream! 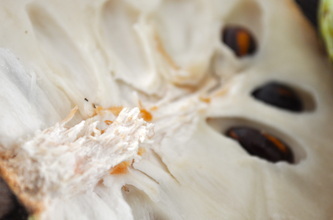 Choose fruit that is firm and allow to ripen at room temperature. Handle with care. 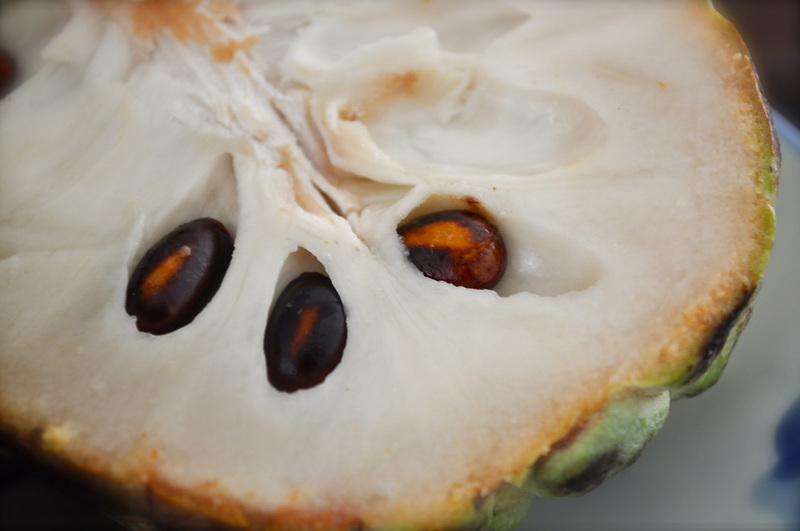 As the Cherimoya begins to ripen, the skin will begin to turn a darker green, brown or grayish color and will yield to gentle pressure. Another indication of ripeness is when the stem can be easily removed from the fruit. 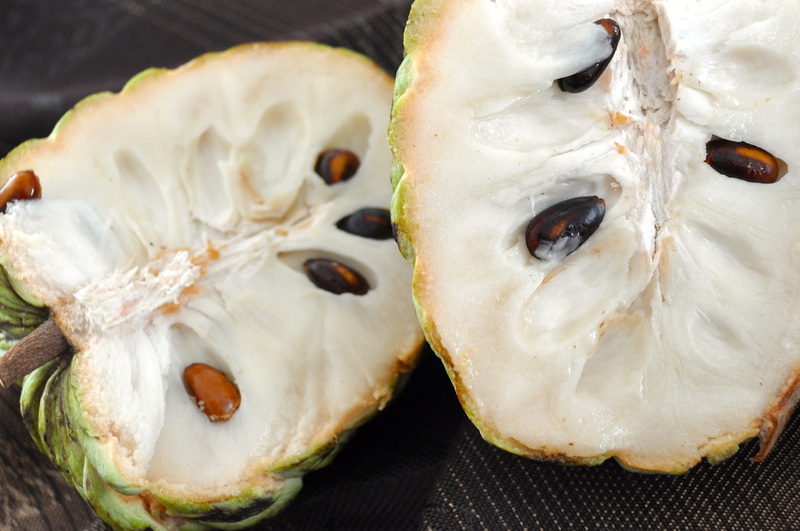 Refrigerate soft fruit and use as soon as possible for best flavor.